vSphere HTML Host Client (Updated!) | RJ Approves This Message! If you love the improvements in the web client, or may be you are a linux shop wanting to test or play with VMware ESXi and wished you could manage your ESXi host with a web client and not with the windows c# client then we may just have a solution for you! So basically everything you can do with a c# windows client. This is awesome especially for *nix users! Download the offline bundle from here. SSH into your host and install the VIB with the below command. Below is how it looks to me. My opinion is this is a good progress and this feature would be great. 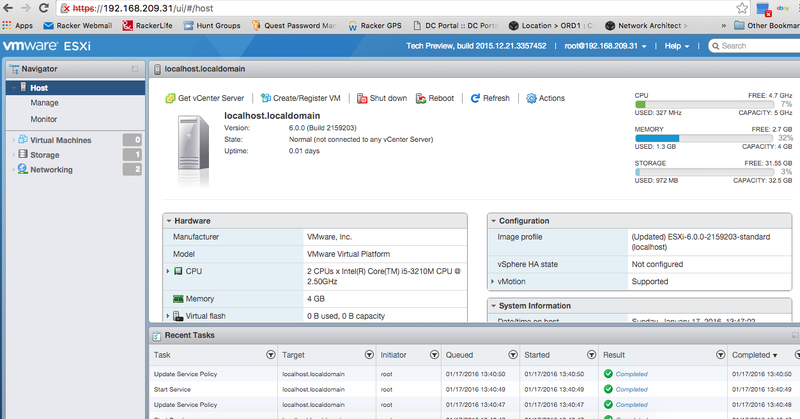 At the end there shouldn’t really be need for a vCenter to provide a rich web interface. If you want to read more – click here.